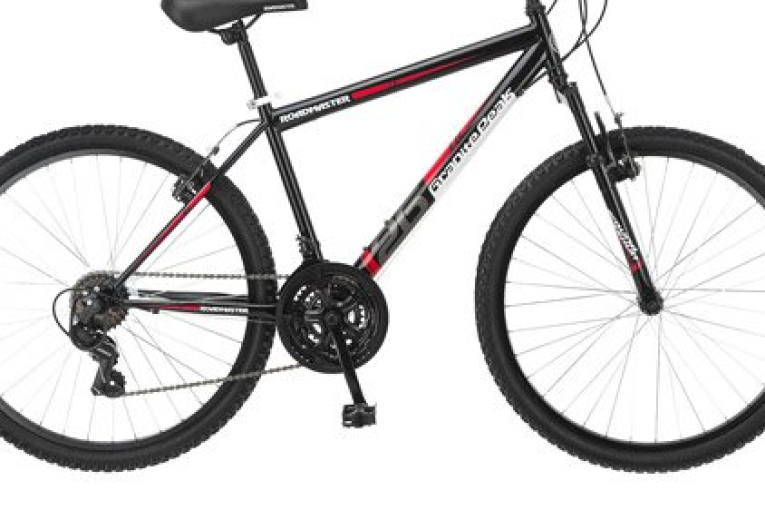 The 26” Wheel Roadmaster Granite Peak Men's Mountain Bike has alloy rims, steel handlebars, and a padded seat. The pedals are solid, sturdy plastic. It is easy to assemble. You simply attach the handlebars, the pedals, and the front wheel according to the directions in the manual. The 26” Wheel Roadmaster Granite Peak Men’s Mountain Bike has alloy rims, steel handlebars, and a padded seat. The pedals are solid, sturdy plastic. It is easy to assemble. You simply attach the handlebars, the pedals, and the front wheel according to the directions in the manual. Additionally, you may have to adjust the brakes. The entire process should take about an hour. The front suspension helps to smooth the road in front of you, and the tire tread grips both pavement and dirt. The 18 gears (3 in the front, 6 in the back) help you achieve whatever speed you desire. This model adjusts to fit people short or tall, up to 300 lbs. When you first obtain your 26” Wheel Roadmaster Granite Peak Men’s Mountain Bike, be ready with some tools, because these are not included. You will need two crescent wrenches, an Allen wrench, and a Phillips screwdriver. The brakes can be modulated by clamping them tightly, but beware: the materials in this model are not names brands, and they tend to be weak. The rear derailleur is made by Shimano, but not the front one. The gears may not be properly aligned, and may not shift smoothly. The brakes may come loose and require constant adjusting. You would be wise to carry a wrench when riding this bike, because parts can come loose, including the handlebars, the crank assembly, and the bar connecting the pedal to the bike. The seat post clamp doesn’t hold tightly. The seat is also uncomfortable, and you may want to purchase something with more cushion. If you intend to ride it frequently, you may want to invest in new tires and tubes. Owners of this bike should be willing to fix it. The Roadmaster Granite Peak Men’s Mountain Bike is not for competition, but if all you want is to tool around town or campus, it’s worth the money. 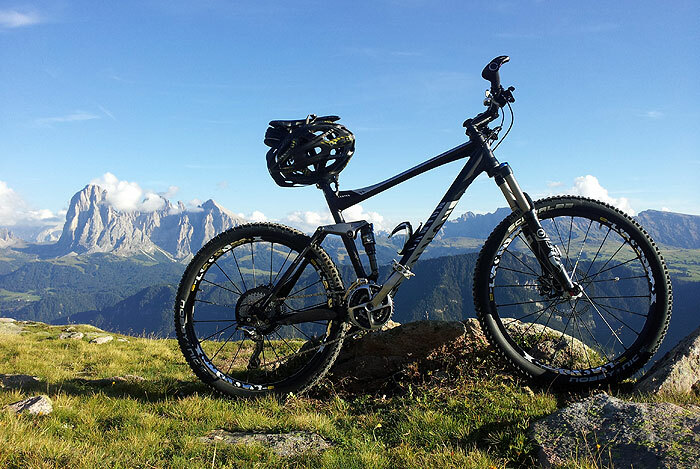 It might make a good present for a young person, but serious bikers looking for a true rugged mountain bike would be better off looking elsewhere.